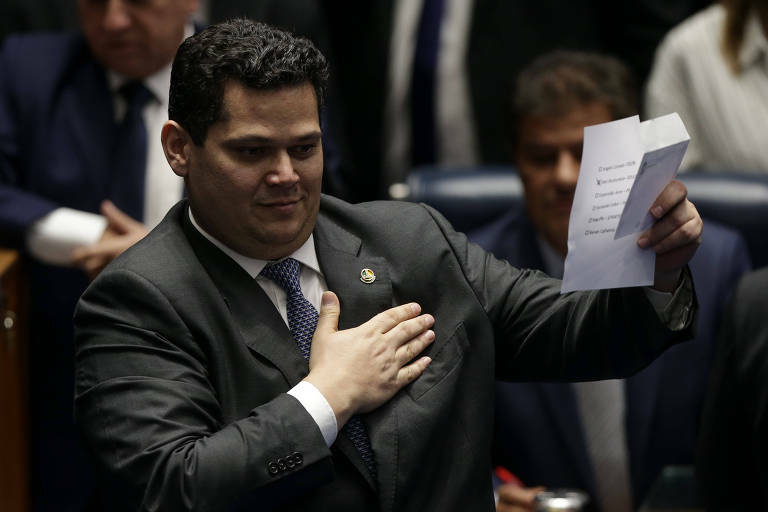 After much confusion, a Supreme Court appeal and a vote annulled due to possible fraud, on Saturday (2nd) night the Senate elected Davi Alcolumbre, 41, (DEM-AP) as its president until January 2021. He received 42 out of 77 votes. Alcolumbre's win happened after senator Renan Calheiros (MDB-AL), the favorite until that moment, withdrew his candidacy, saying that "antidemocratic pressures" cost him votes and mentioning senators José Serra (PSDB-SP), Mara Gabrilli (PSDB-SP) and Flávio Bolsonaro (PSL-RJ) by name. The result is a win for the Executive but might bring later repercussions for the Bolsonaro administration. Chief of Staff Onyx Lorenzoni endorsed Alcolumbre’s candidacy. With the senator's win, Lorenzoni gains an ally in his political negotiations in Congress. But Calheiros and his allies still retain some power in the Senate, which might bring trouble later this year, when it will be time to pass Bolsonaro's most significant campaign promise, the Social Security reform bill. The president will need the support of at least 60% of Congress members to pass the bill. Saturday also reinforced DEM as an up and coming force in Brazil's political landscape, with members as heads at both Senate and House, and three ministers.